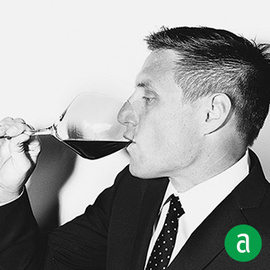 Bobby Stuckey, Owner and Master Sommelier of Frasca Food and Wine Group in Boulder, shares his career timeline and advice for up-and-coming talent. Nothing is harder than working with people that think hospitality is a job, not a craft. Several mentors helped shape my career path: Thomas Keller was someone who always made decisions for the betterment of his establishment. Eric Calderon, while GM of the Little Nell in the 90's, taught me that hospitality is a craft. Larry Stuckey Sr. taught me tenacity. I am very lucky that I am constantly still educating myself because I love the industry. I love reading about wine, about beverages, about other business's of leading a company of over 200 employees. I don't look at it as drudgery, It's something I do every day, wake up and read a little bit. The best advice I received was in 1995 from Tom Kaufman: "If you are going to be a young sommelier, treat the wine budget for the company you work for like your own checkbook." The most important skills for a young sommelier are the ability to be humble and the ability to listen. Ten years ago, we started Frasca. I wish we had a great real estate attorney. Now that we have found one, life is much less stressful. While my advice may be contrary to the industry of party, rockstar chefs and sommeliers, I’ve always thought that great longevity is sustained by going home after work, rather than going out. I’m not against having a beer or a glass of wine at the end of the evening, but I’ve kept this philosophy for the last 20 years and it is amazing how much more productivity I have gained from this. To keep a work-life balance, make sure you have something that is outside the restaurant industry that motivates you. For me, that is cycling or running. I try to run a marathon every year. It takes 20 weeks to prepare. With long runs on Sunday mornings, even though I’ve worked until late the night before, having that balance keeps me fresh. If you are a young chef or a young sommelier and you are working in an environment where people go out and party every night, I’d probably advise you leave and go work somewhere else because it will not make you great. The ceiling of your capability will only be good.